As we are not clinicians, if you are experiencing any physical or mental distress, please consult a licensed healthcare provider. Always check with your healthcare provider when considering treatment options. 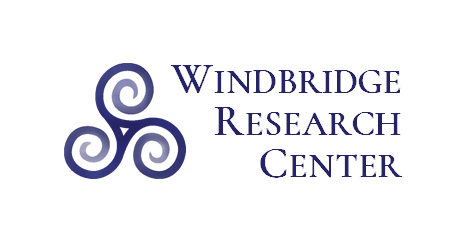 Thank you for your interest in our work at the Windbridge Research Center. Below are answers to some of the most Frequently Asked Questions (FAQs) we receive. Please take a moment to look them over as there is a good chance they have relevant information about your inquiry. If your question is not on the list, you can contact us. However, due to the high volume of email we receive, we may not be able to provide you with a personal reply. What happened to the Windbridge Institute, LLC? In July 2017, the mediumship research programs conducted at the Windbridge Institute, LLC, were transferred to the newly formed Windbridge Research Center, an Arizona nonprofit corporation. The Windbridge Institute, LLC, continues to focus on for-profit activities such as consulting, book publishing, and software development. 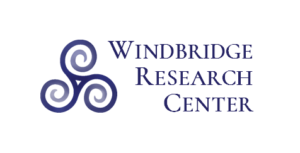 The Windbridge Research Center now engages in the charitable activities of scientific research and education. For a list of current projects please click HERE. Can you recommend a medium? We cannot recommend a specific medium for you. See our Fact Sheet “Receiving a Mediumship Reading: Recommendations for Sitters” for information about choosing a medium and other tips for optimizing your reading. How can I become a Windbridge Certified Medium (WCRM)? The funding for the certification program has ended and we are no longer certifying or testing mediums. There are no plans to reopen the program. I am having Spiritually Transformative Experiences (STEs). Can you help me? I have a special ability. Will you study/test me? As a general rule, we do not study individuals. Please check HERE for a list of any open positions. How can I volunteer to participate in or help with research? Please click HERE for a list of ways to get involved and support the Center. How can I contact Dr. Beischel directly? If you have a question for Dr. Beischel that has not already been answered in this FAQ, her published research, or interviews, you can send your request to info@WindbridgeCenter.org. However, given the demands on Dr. Beischel’s time, you may not receive a response. If you are from the media and wish to request an interview, please email media@WindbridgeCenter.org. What has your research found? Please click HERE for an overview of our findings to date. For a detailed description, click here. Will you read the attached file I emailed to you? For security reasons, we do not open email attachments. I sent you a transcript of a mediumship/psychic reading (either for myself or for one of the members of your staff). Will you give me feedback on it? We do not read unsolicited readings and we cannot give feedback on readings that were collected outside of our research. I have a question about a published or current study. All relevant information about published studies can be found by reading the original published papers. Complete citations (most of which have links to downloadable PDFs of the papers) can be found HERE. All available information about current studies can be found HERE. I read a comment on a blog post/forum about your research. Will you respond to it? No. As a matter of policy, we do not respond to online comments.